Heat the oil in a large skillet over medium-high heat until shimmering. Add the onion and cook, stirring occasionally until softened, about 2 minutes. Stir in the chili powder, cumin, and 1/4 teaspoon salt. Add the beans and water. Cover the pan and reduce the heat to maintain a simmer. Cook for 5 minutes, then uncover and use the back of a fork to partially mash the beans, leaving about half unmashed. If there’s any remaining water in the pan, simmer the mixture uncovered until evaporated about 30 seconds. Taste and adjust seasoning as needed. Meanwhile, heat the tortillas in a pan. 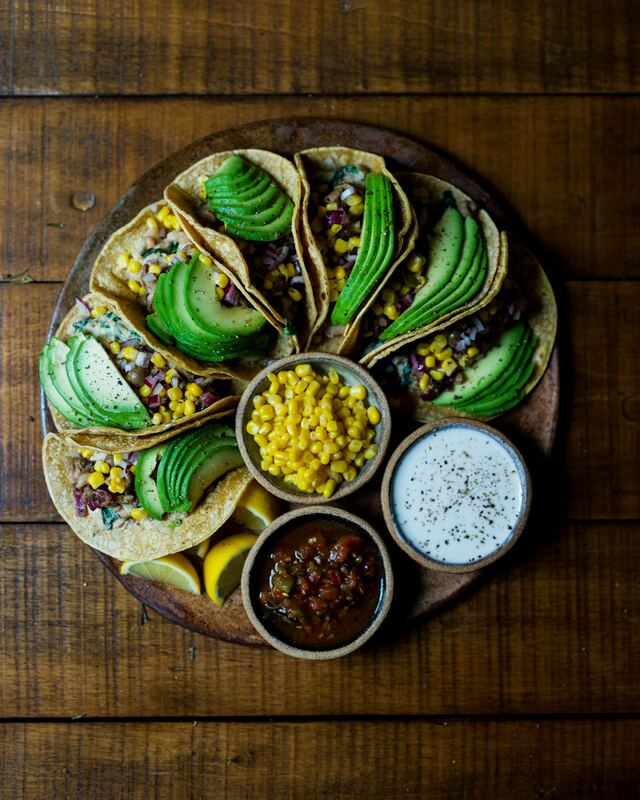 Fill the tortillas with the black bean mixture and top with cilantro, sour cream, cheese, avocado & salsa.